This is the final fencing post. A metal rod is pounded into the ground and an old disc blade is placed on the ground to protect the soil. 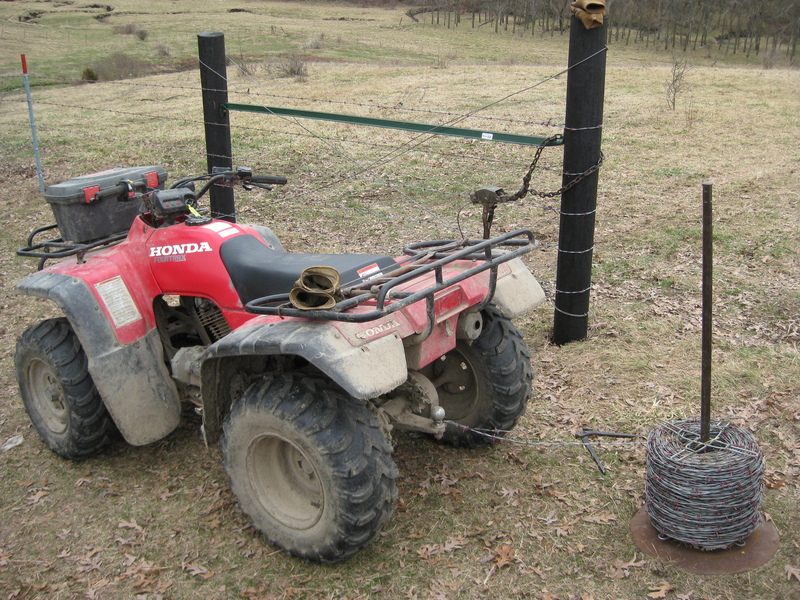 The roll of barb-wire is placed on the disc and one end of the wire is tied to the ATV. I use the ATV to pull the wire to the other end of the fence and tie it to the end post. After your first wire is in place as a guide wire, pound the rest of your posts into the ground. We use a ratio of five metal to one wooden. Metal posts are cheaper and don’t rot; but wooden posts are stronger and resist cattle pushing on the fence better. 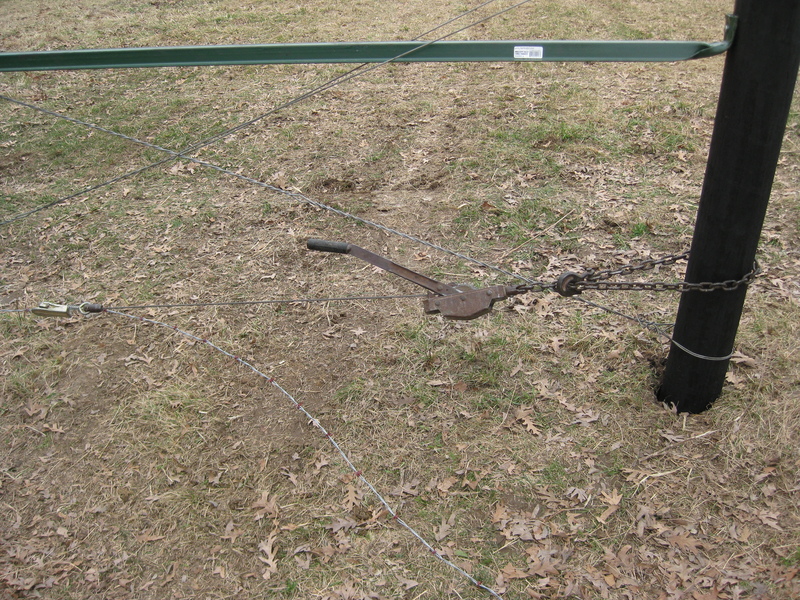 A fence-stretcher is attached to the wire. As Dad cranks the handle, I make sure the wire is not caught on any brush and is in line with the fence. 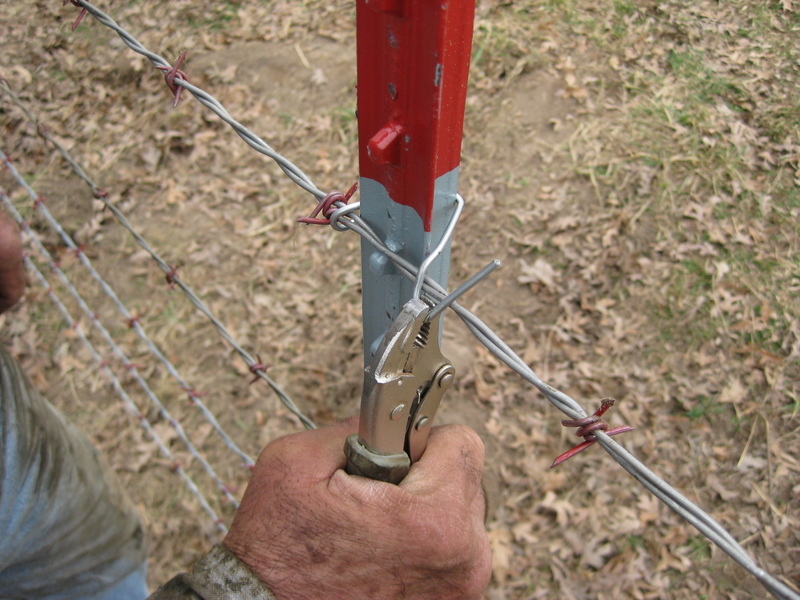 I use a pliers because if the fence-stretcher slips off, the wire will slip quickly and cut through your hand. 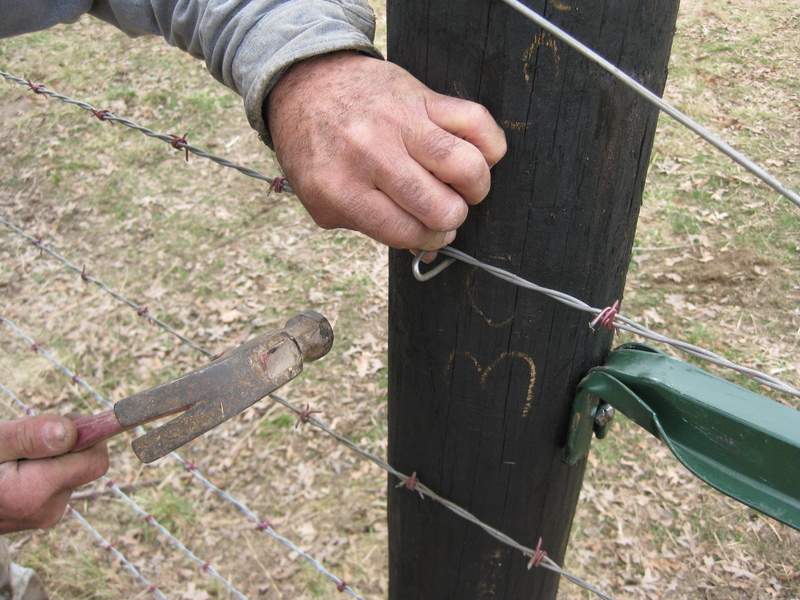 Once the proper tightness is achieved, the wire is tied to the end post and the fence-stretcher is removed. A clip is used to secure the wire to the steel post. There are notches on the post and we use these as markers to make sure the wires are evenly spaced. Staples are used to secure the wire to the wooden posts. This concludes my fencing posts. If you have any questions, please comment. This entry was posted on Tuesday, June 1st, 2010 at 1:54 am and is filed under Curious cattle, Curious livestock costs. You can follow any responses to this entry through the RSS 2.0 feed. You can leave a response, or trackback from your own site. You guys build one hell of a fence.